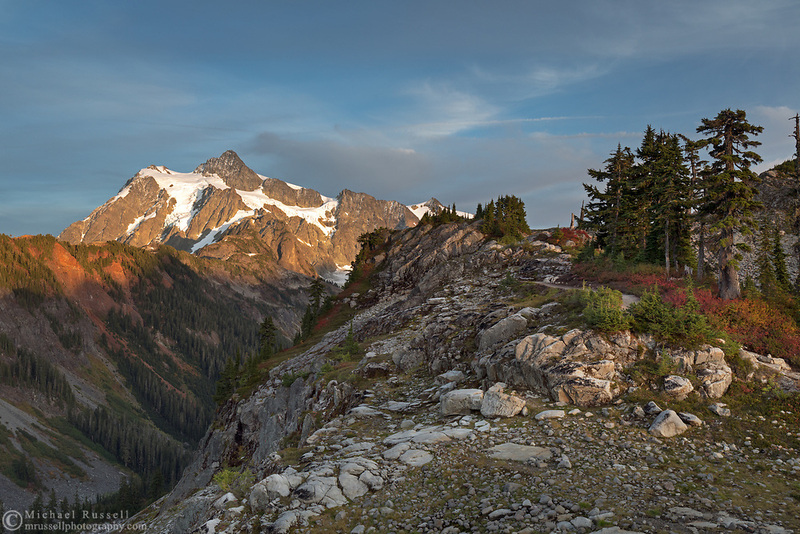 Sunset on Mount Shuksan from the Artist Point to Huntoon Point trail along Kulshan Ridge in Washington State's North Cascades Range. Photographed from Kulshan Ridge in the Mount Baker Wilderness. Mount Shuksan itself lies in North Cascades National Park.